The 33 year-old Roscommon man tore the heart out of the field with an amateur course record of 65 in the third round yesterday morning and then, with a quick lunch under his belt, brushed aside the challenge of West of Ireland champion Michael McDermott to win the championship by four strokes. Overnight leader Pat Murray of Kinsale saw his chances of victory dashed by an ugly 77 in the morning. But he rallied well in the final round, shooting a fine two under par 70 to tie for second place with McDermott on five under. Another of the fancied contenders, Stephen Browne of Hermitage, finished a shot further back on four under par after rounds of 69 and 68 yesterday, leaving him to rue opening rounds of 77 and 74. But the day belonged to Kearney, whose nine under par aggregate of 283, though not quite in the same league as his stunning 15 under par winning aggregate of two years ago was as impressive as it was brilliant. And even though some of the leading contenders for the title, such as last year winner Noel Fox, Michael Hoey, Andrew McCormick or Tim Rice were in action in the British Amateur in Scotland yesterday, they would have been hard-pressed to better Kearney's golf over the fast running and bouncy Baltray links. 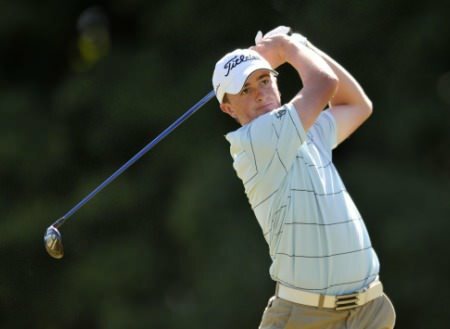 The championship was effectively ended as a contest by Kearney's stunning 65, in which he took an economic 28 putts. After holing form 30 feet for a three at the first, he then added four more birdies in a row to get to five under for as many holes. In fact, he never had to hole anything longer than a 10-footer as he fired further birdies at the 11th, 12th and 15th to get to nine under for the round. 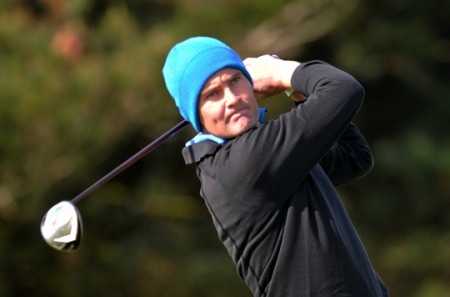 Needing two pars to equal Eamonn Darcy's course record 64, set at the Irish PGA championship last October, Kearney finished bogey-par for a 65 that bettered the amateur course record of 66 held jointly by the Roscommon man and Raymie Burns of Banbridge. "I knew I was getting myself in a position to win the championship," said Kearney of his morning round. "I had played better than I had scored over the first two rounds and I knew I had a good score in me so I tried to get under par early on and I just caught fire." McDermott could do no better than a 72 that left him chasing the Roscommon estate agent, four shots adrift and two matches behind him on the course. Birdies at the 2nd and 3rd put Kearney 10 under par and five ahead of his young Dublin rival before he hit a bad patch from the 6th, dropping three strokes in a row. Rough was his downfall at the 6th and 7th before he drove into a fairway bunker at the 8th and failed to get his par, allowing McDermott to close to within two strokes. Then came the key moment. As McDermott bogeyed the 8th to drop back to four under, Kearney holed from 15 feet at the 10th and two putted for a birdie four at the long 11th to go five clear again. A 10-foot birdie at the 15th effectively clinched the championship, and although he finished bogey-birdie for the second round in a row, McDermott's challenge for the championship had long since evaporated. Kearney will not be playing in the Irish Close championship at Rosses Point later this month, or in the European Team championships in Sweden in July. "My wife Sinead is expecting our first child early in July so it would be a bad time to go away," he explained. "I'd love to come back for the Home Internationals. But for now I'm just going to enjoy this win. "I just plotted my way around, hitting a lot of two irons and fairway woods. It's a thinking golfer's course, a great links and I love it." After yesterday's heroics, he could hardly say anything else. A thoroughbred racehorse sometimes needs a great jockey to bring out the best in him but Colm Campbell didn’t need more than a glimpse of the whip as he holed two crucial putts late in the day to stay on the bridle and canter to a two-stroke victory in the East of Ireland Amateur Open at a rain-spattered Baltray. A putter 'borrowed' from the professional's shop at Kinsale could help Pat Murray win the East of Ireland Amateur Open title at Co Louth today. James Fox extended his three shot overnight lead to four in the East of Ireland Amateur Open in Baltray. Picture by Pat CashmanJames Fox can follow in the footsteps of his brother Noel if he takes advantage of a four-stroke overnight lead and wins the East of Ireland Amateur Open at Baltray tomorrow. Paul Dunne has a four shot lead with two rounds to go. 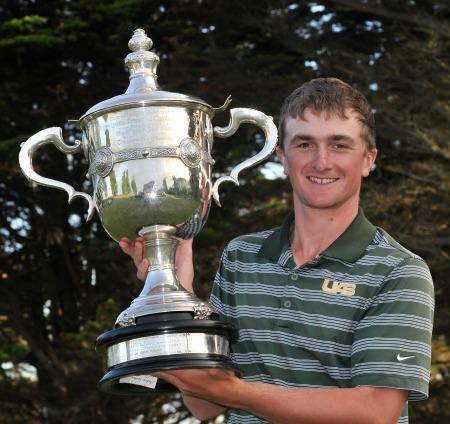 Archive picture by Pat Cashman Youth will have its fling at Baltray today with Greystones’ Paul Dunne heading a trio of Irish Youths champions in a 36-hole battle for the coveted East of Ireland Amateur Open title.